Guerrilla growing is when you grow cannabis outdoors, somewhere in a hidden location that won’t easily be discovered. Learn all about how to successfully guerrilla grow cannabis in our guide below! Not everyone can grow cannabis in their own home or garden. For some cannabis enthusiasts, the only way to go about growing weed is to do it outdoors in a secret spot in nature. When you stealthily grow weed somewhere (where you hope that your precious crop isn’t discovered), this is known as guerrilla growing. Here is all you need to know on how you can successfully guerrilla grow cannabis! The most obvious advantage to guerrilla growing is that your plants will be located suitably far away from your place of residence. While this can be a pain in terms of checking up on your plants, it removes the risk of you getting busted should growing cannabis still be illegal in your region. In those places where cannabis laws are still not as relaxed as we’d wish, a guerrilla grow can remove the threat of cops, landlords, and neighbours complaining about the smell or sight of your “devil’s lettuce”. Then again, growing weed somewhere out in nature can have its own risks. The biggest, of course, is that your grow might be discovered—by humans or otherwise. Animals out in the wild, from deer to birds to nasty bugs, can all take a toll on the health and vitality of your precious plants. And of course, any human passersby who enjoy cannabis themselves may take their own toll by chopping down your plant or stealing your container. Moreover, adverse weather conditions mean that your guerrilla-grown crop largely has to fend for itself. Still, if you plan your guerrilla grow ahead of time and go about it with some basic know-how, it is certainly possible for the experience to be both fun and rewarding. The very first thing you need to do when planning a guerrilla grow is to find a suitable location. Obviously, you want to choose somewhere discreet where there is little chance of your plants being spotted. For this, you should explore the surroundings of a potential location to see whether you come across nearby paths, footprints, garbage, and other signs that people may come here on occasion. So make sure to select your secret growing location a good distance away from streets, paths, and buildings. Consider also that the odour of your plants may be noticeable as much as 10–15m away or more, so take this into account when choosing a spot. Parks, public places, and areas that seem to be kept-up well are usually not very good locations. The more difficult it is to get to your secret growing spot, the better! When you’re choosing a guerrilla growing spot, you must also make sure there are no street lights in the vicinity. The lights could otherwise mess up your plant’s natural dark cycle, causing it to turn intersex or resulting in other adverse reactions. Experienced guerrilla growers often say that a hidden spot near water is optimal. So, if you have a lake or stream nearby, this can be a nice advantage. It can make it easier when it comes to watering your wild plants, and you won’t look suspicious carrying buckets of water over quite some distance. In an ideal location near a lake or river, your plants can just absorb the water that’s already in the soil, and you may not even have to water them. Likewise, locations near water are naturally also warmer in the winter, so there is less risk that your plants would suffer from frost. On the other hand, if you grow very close to a stream, there can be a risk for flooding should it rain heavily late in summer. Keep this in mind. If you grow outdoors, you will want to frequently check on your plants. You may need to water them often, and you want to keep a close eye on things such as pests or other possible problems. Because of that, a growing spot that’s miles and miles away isn’t optimal. If you can, choose a guerrilla grow spot that is accessible by foot or bike. Now it’s time to get to the exciting bits: how to start your guerrilla grow. The “pros” normally don’t start a guerrilla grow from seed. It can be best to start the seeds or clones indoors first, then replant them in your secret spot outdoors once your seedlings have grown a bit. You can still plant seeds outdoors, just don’t expect the same results as you would when transplanting a robust young plant. The best time to replant your cannabis seedlings outside is after the last frost has occurred in spring. Make sure to accustom your seedlings to the conditions outside. Before you set them out, you should place them in the sun for a few hours every day so they can get used to the natural sunlight. As you’re doing this, it can be a good time to prepare your guerrilla grow spot for your plants! There are some things that you should do to prepare your grow spot before you start planting. You may want to put up extra protection against animals, or camouflage your location. Likewise, most growers bring in outside soil to grow their plants, as natural soil is not always ideal for raising healthy and productive specimens. In this case, start out by digging a hole for your plant, and filling it with a rich growing medium of soil, coco, and perlite, if possible. The hole should be big enough to accommodate the spread of roots into nutritious soil. Although the above process requires only one visit, watering becomes a little more complicated. Frequently watering your plant out in the wild can be challenging. A good way to go about this is to mix water-absorbing polymers into your substrate. These polymers are like water-filled gels that can absorb and store water, which they slowly release so your plants can drink during dry spells. When you add mulch and cover your growing spot with straw, this can also help keep water from evaporating so that the soil in your grow spot will stay moist for longer. You can also consider adding slow-release nutrients to your substrate. You should be able to source the substrate, polymers, and the slow-release nutrients from any good garden centre or grow shop. After digging the hole and filling it with a suitable substrate, you can finally plant your seedling or seed. Water your plant well until all the soil in its surroundings is moist. The possibility that your secret grow spot could be discovered is arguably the biggest risk with guerrilla growing. Because of that, you want to camouflage your growing area. Ideally, your grow spot should already be hidden enough that you don't need to go through much effort to conceal it. If necessary, you can use the surrounding vegetation to hide your plants by constructing a sort of natural fence, making it necessary to move these plants out of the way to access your hidden crop. Then again, there will always be a small risk that your plants could be discovered, no matter how well you hide them. This is the reason that guerrilla growers often spread their plants around in multiple locations, rather than relying on one single spot. In other words: don’t put all your eggs in one basket! If you plant your weed in more locations, any unexpected happenings will not result in the failure of your entire crop. Outdoors, a lot can happen to your plants since they will be susceptible to all nature has to offer. You can increase protection of your cannabis plants by making simple cages out of chicken wire. These should at least keep larger animals like birds and deer away from your plants. When you visit your guerrilla grow, you should also make a habit of checking for common signs of pest infestation. Some natural pesticides such as neem oil can work in a preventative way so you can decrease the chances for common pests, such as aphids, to appear. Online, as well as in grow stores, you can find a number of products to repel deer, rabbits, and other animals. As you will likely go to your secret cannabis plantation fairly often, avoid always taking the same route. A fresh path out in the wild could draw suspicion, so take a different way as often as you can. If you notice that you leave footprints, cover them up with dirt. It can also be helpful to prepare a credible story for the eventuality of someone seeing you near your spot and asking what you’re doing. You could, for example, carry a camera or binoculars on you and say you’re bird-watching. And if there’s a lake or a river nearby, you could carry fishing equipment to conceal what you’re doing. Needless to say, when you have gotten away with your story, it would be smart to look for another growing location. Unless you added polymers to your substrate as mentioned earlier, you will need to water your plants regularly. For this, you can simply observe your local weather. If it didn’t rain for a week or longer, chances are your plants will be thirsty. If you’re using slow-release nutrients mixed with your substrate, your plants may do well throughout their entire life without you needing to feed them. Otherwise, make sure that you give them sufficient nutrients so they can grow and stay healthy. When you’re purchasing cannabis nutrients, make sure that they are suitable to use in soil outdoors. Watering your plants frequently is important, but so is keeping them dry as the weather gets rainy at the beginning of fall. Especially in our European climate, extended days of rainfall can increase the risk for mould to grow, which could spoil your entire harvest. When you visit your plants, shake the excessive moisture from rain off the buds to decrease the risk for mould. If the weather doesn’t look as if it will get better at the end of summer, or it is expected to stay cold and rainy for weeks on end, you may want to harvest early so you can save your buds from rot. When it’s finally harvest time, it can help if you don’t get too excited that you rush things. Know that harvesting your outdoor guerrilla crops can be the most sensitive part of the entire grow. After all, you will likely be carrying back a whole bunch of juicy and aromatic buds, and you want to do this without drawing unwanted attention. For harvesting, most guerrilla growers begin early in the morning before the sun comes up. You will need at least one large container where you can place your buds. Get a sealable container with a lid so that your harvest won’t raise suspicion from the smell. Quickly cut the branches and place them with the stem down into your container. This helps keep the buds intact. It shouldn’t require long until you have cut all the branches so you can take them home. What makes growing cannabis outdoors exciting, yet also challenging, are the many factors that decide whether your grow may turn out awesome, or not so much. And not always can we keep these things under control. Mother Nature may bless your grow with optimal conditions to reward you with amazing yields, or she could be moody and spoil your plans with poor weather, rain, and pest infestations. Although you cannot predict everything that will happen, you can greatly increase your chances for a successful outdoor guerrilla grow by selecting the right strains. This is because some cannabis cultivars are better suited to the outdoors than others. They may have increased resistance to mould and pests, or they may grow particularly short, making them ideal to grow under the radar. Here are 5 strains perfectly suited to a successful guerrilla grow. 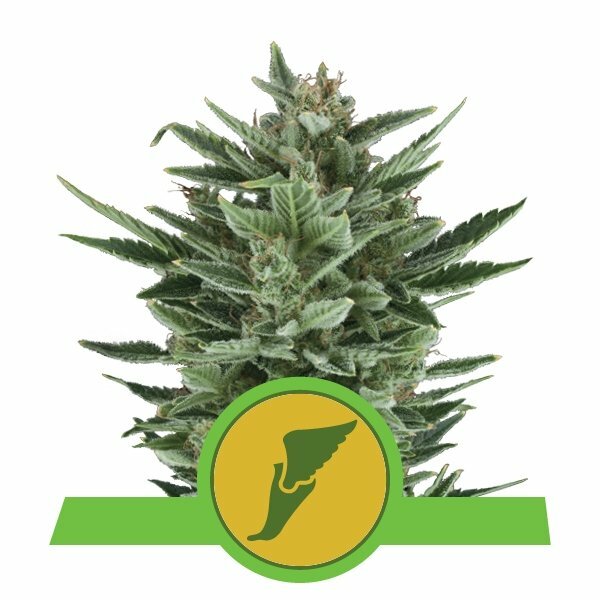 Quick One by Royal Queen Seeds was one of the first and fastest autoflowering cannabis varieties on the market. This formidable indica-dominant auto is still great to grow today, and rewards with decent yields. She will not grow taller than 50–60cm, which makes her a particularly good guerrilla strain. Her entire life cycle is a short 8 weeks from seed to harvest, perfect for getting in and getting out fast! 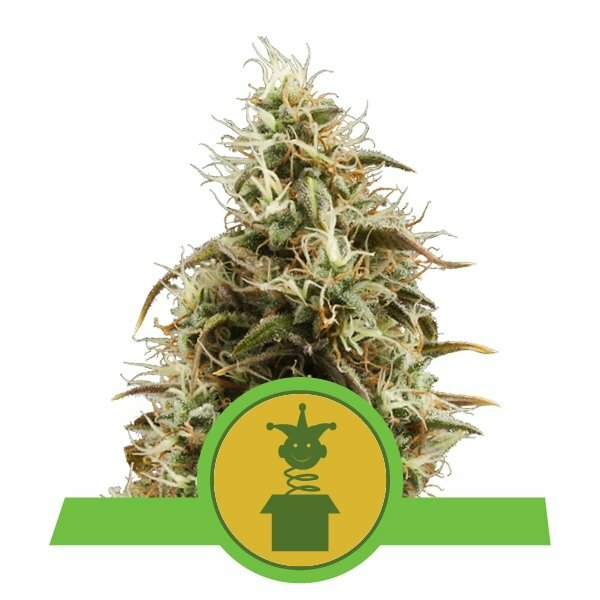 Royal Jack Auto is the autoflowering variant of a true cannabis classic, the legendary Jack Herer. Named after the famous cannabis activist and author, Jack Herer is still one of the most popular strains. 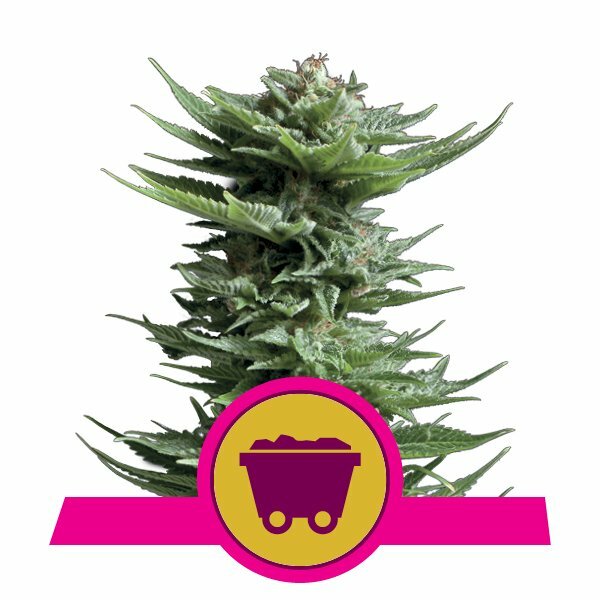 The autoflowering variety is ideal if you want to grow this fabulous strain out in the wild. She will only reach a height of 40–90cm, and will go through her entire life cycle in only 10 weeks. RJA is slightly sativa-dominant, with a motivating and uplifting effect! Northern Light is another extremely popular cannabis classic that makes an excellent figure whether you grow her indoors or outdoors. What makes this pure indica a good choice to guerrilla grow is the fact that she’s very robust and low-maintenance. Give her some sun and nice temperatures, and she will reward you with superb yields of top-shelf bud (up to 625g/plant). A knockout indica smoke! New strains are created all the time, but not many have achieved legendary status like White Widow. Receiving her name due to her extremely resinous nature, you can expect a white coat of frosty trichomes to appear at the end of flowering. This well-balanced hybrid clocks in at a potent 19% THC, which will make you stoned before you know it—but in an alert and inspired way. Grow this low-maintenance girl outdoors, and you can look forward to respectable yields of up to 600g/plant! Normally, Hazes are not exactly fast growers, which makes them less than ideal for growing outdoors, especially in turbulent conditions. Shining Silver Haze by Royal Queen Seeds is one of the few Hazes that flowers fairly fast (only 9–11 weeks), making her more suited to guerrilla growing. Reaching a height of up to 200cm, it may not be easy to hide her, but her super-potent buds containing 21% THC will provide an incredible head high. Not to mention, her sweet taste and very good yields will make growing this lady extremely worthwhile! How Much Sunlight Do Outdoor Cannabis Plants Need To Grow?